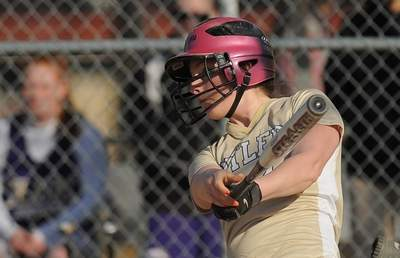 Jen Miller singled, doubled, tripled and drove in five runs as Butler rolled to an 11-3 win at Kiski. Alexis Schmeider relieved an injured Alex Graham in the second inning and picked up the win. 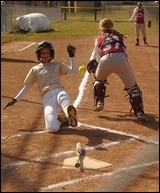 Kait Barnett had two doubles for the Golden Tornado. Butler scored 12 runs in the first inning. W: Emily McDonald 3 IP (2K, 1BB). L: Piccolino 3 IP (2K, 2BB). 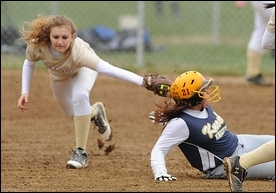 as the Butler softball team blanked section foe Moon, 2-0. 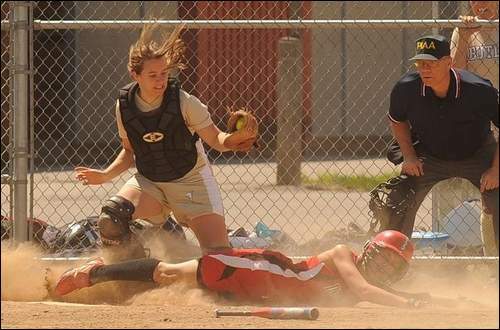 Catcher Jen Miller came up big defensively, throwing out two runners trying to steal to stall Moon rallies. The win improves the Golden Tornado to 3-4 in the section. 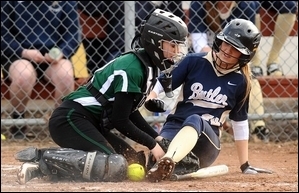 Caitlin Baxter drew a bases-loaded walk which sent Sadie Marak home with the game-winning run in the bottom of the ninth inning as the Butler softball team opened the season with a 2-1 victory over Plum. who had reached on an error, scored on an error. Plum had taken a 1-0 lead in the top of the eighth inning. Angie Reddick earned the win with nine strikeouts and allowed just three hits. In jayvee action, Plum downed the Tornado 6-1 despite six strikeouts in a complete-game effort by Aubrey Schmeider. Erin Pennington had a double and Schmeider a single for Butler (0-1). 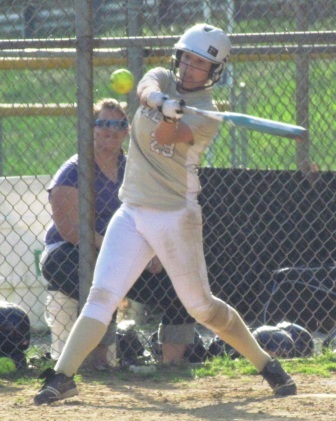 • Karns City's Ceanca Everetts, Brooke Hiles and Breezzie Rich all tripled, but Ford City held on for a 10-8 victory. 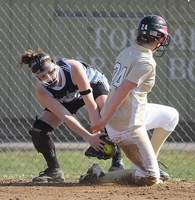 • Melea Mauthe had two hits and pitcher Stephanie Kotomski fanned nine batters, but Slippery Rock dropped an 11-1 decision to West Middlesex in six innings. W: Angie Reddick 9IP (9K, 4BB). L: B. Johns 9IP (3K, 3BB). 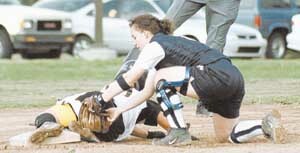 helping her own cause in Butler's 6-3 high school softball win over North Hills. Skidmore pitched a complete game, striking out four in the section victory. W: Amanda Skidmore 7 IP (4K, 1BB). L: Rectenwald 7 IP (3K, 0BB). Caitlin Baxter had a triple. Amanda Skidmore and Mackenzie O'Donnell each had a double. Amanda Skidmore was 3 for 3 at the plate. Tori Hesidence was 2 for 3 at the plate. Winning pitcher was Angie Reddick. She had 6 strike outs. 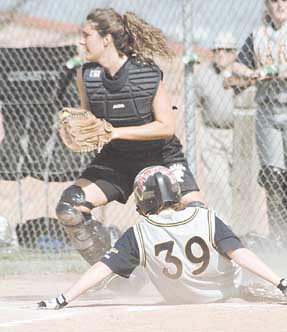 Angie Reddick was the winning pitcher. She struck out 7 batters. Caitlin Baxter had a triple. Angie Reddick and Sara Cobern each had a double. Cait Baxter scored 2 runs for Butler. Olivia Hortert, Sara Cobern and Amber Steinheiser each added a run. Angie Reddick and Sara Cobern each had 2 RBI's. Winning Pitcher was Amanda Skidmore. Butler had 18 hits which included 5 doubles(Cait Baxter, Angie Reddick, Amanda Skidmore, Olivia Vasey and Mackenzie O'Donnell) and a triple(by Cait Baxter). Olivia Vasey, Angie Reddick and Sadie Marak were all 3 for 3 at the plate. Sadie Marak and Mackenzie O'Donnell each had 3 RBI's.
. Sadie Marak had a triple. Caitlin Baxter had a double. Angie Reddick had 2 RBI's. Amanda Skidmore and Olivia Vasey each had a RBI. Olivia Vasey was 2 for 4 at the plate. Amanda Skidmore was the winning pitcher. She had 5 strikeouts. 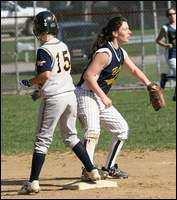 Caitlin Baxter scored 3 of Butler's 5 runs. Sadie Marak and Julie Brenckle each added a run for Butler. Amanda Skidmore limited Shaler to four hits en route to a 2-1 victory. W: Amanda Skidmore (7 IP) 4 K, 2 BB. L: Nichter (6 IP) 10 K, 1 BB. The Butler softball team started the season in fine fashion when Olivia Vasey banged out three hits and Angie Reddick didn't yield an earned run in six solid innings as the Golden Tornado toppled Riverside. Butler scored five times in the top on the sixth inning to take the lead and hung on for the win. Sadie Marak had two hits and drove in a run for Butler. Reddick surrendered five hits and seven unearned runs. 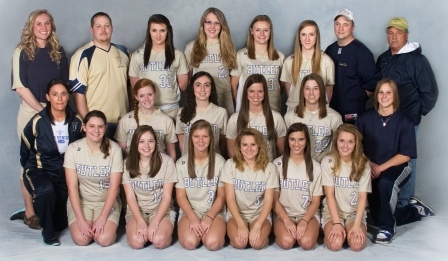 Sadie Marak homered and Angie Reddick pitched a complete game as Butler eked out a 3-2 victory over North Hills. Danielle Lloyd hit two home runs as the Butler JV team edged the Indians 9-8. 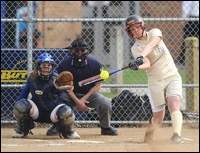 The Tornado Softball squad edged defending WPIAL Class AAAA softball champion North Allegheny, 5-4, in Class AAAA Section 3. Jenna Geibel hit a two-run homer in the bottom of the seventh inning. Geibel collected three hits, two home runs and drove in four runs for the Golden Tornado. What a way to end a streak. 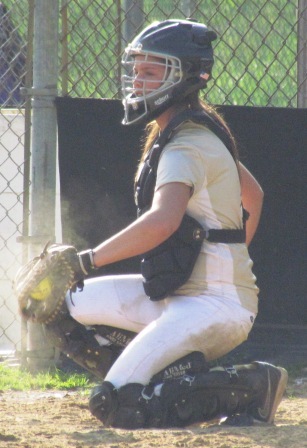 Jenna Geibel hit a two-out, two-run, walkoff home run in the bottom of the seventh inning to give the Butler girls softball team its first victory in two seasons, a 5-4 win over NorthAllegheny. Butler went 0-17 last season and hadn't won a section game since the 2004 season. The blast was Geibel's second two-run homer of the game. Her first home run came in the third inning to give the Golden Tornado a 3-0 lead. North Allegheny rallied to take the lead with a four-run sixth inning to set up the heroics. 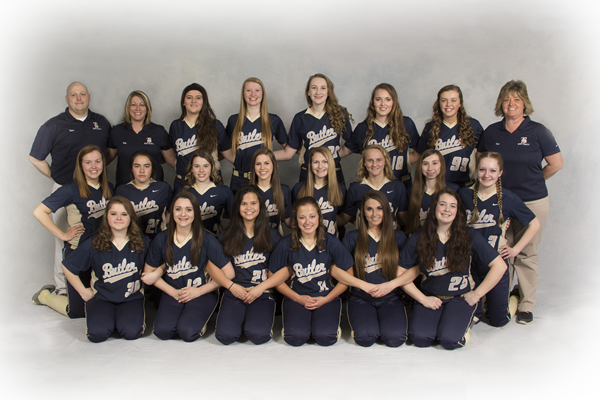 Dana Gillis and Megan Shingleton had two hits apiece and Amy Ferrari had a double and two RBI as the Butler softball team routed New Castle 13-3 in a five-inning game. The Tornado also benefited from 13 walks from New Castle starter Sara Chill and six errors from the Red Hurricanes' defense. 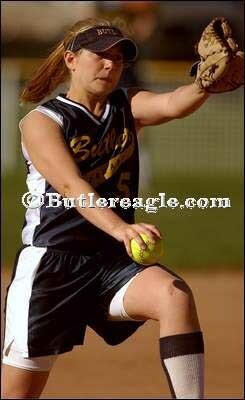 Butler's Kelly Reges pitched a complete-game two-hitter with five strikeouts and no walks. Amber Czapski had four hits, narrowly missing the cycle for the afternoon. Chelsea Perry fired a four hitter with 3 K's and did not issue a free pass to anyone. Czapski finished offensively with a homer, two doubles and a single. Chelsea Perry pitched the complete game and section opening victory.